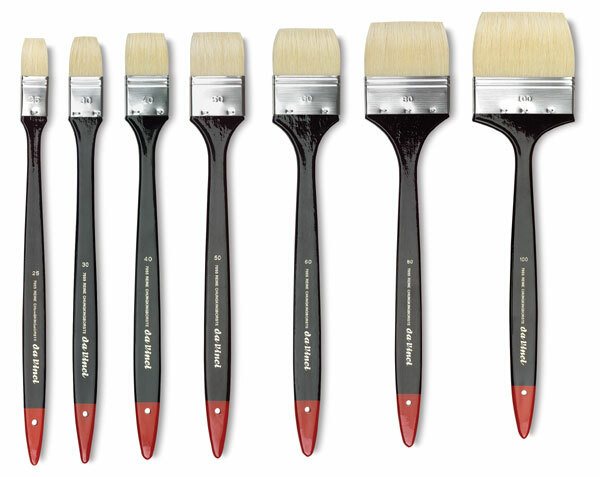 Sturdy Chinese Chungking bristles set in a rust-proof steel ferrule. 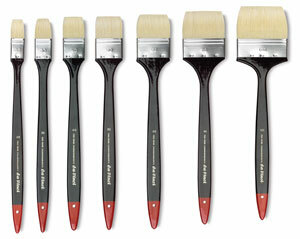 12" long black-red easy grip polished flat handle for quick gesture strokes on large scale work. For use with oil or acrylic paint.